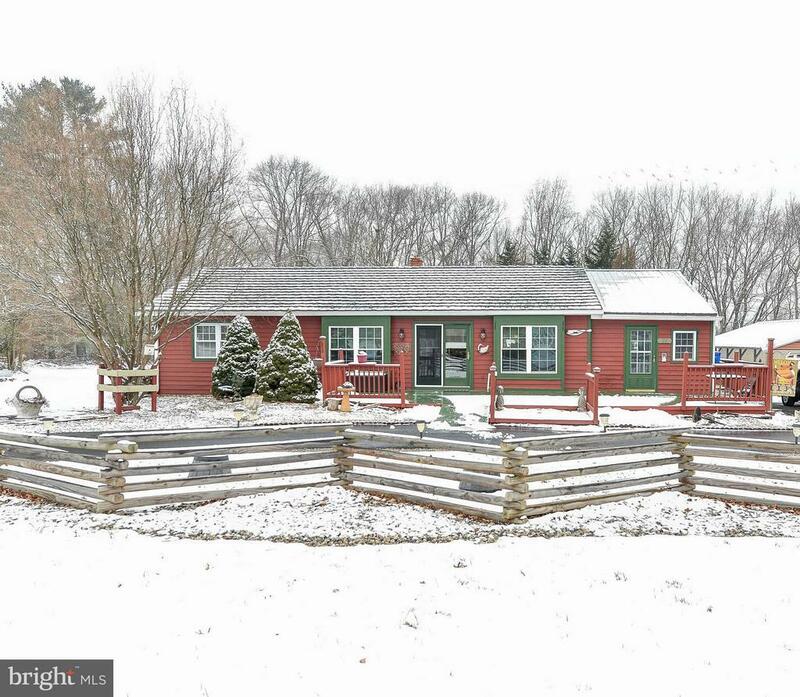 Situated off a private lane, and close proximity to the quaint water oriented town of North East, this unique rancher is ideal for someone looking for one floor living. Step inside to a lovingly maintained home with beautiful wood accents. Enclosed heated porch off the kitchen has a rustic feel with the wood ceiling, wood trim, and extra wide window sills. The enclosed porch adds an additional 500 square feet of living space making this home over 2000 square feet! Outside you'll find the perfect entertaining space with two large decks, pergola, and an above ground pool with attached deck. Follow the stone pathway off the deck to a 36 x 12 foot "man cave or she shed" with electric, heat, and water. There are also two additional 12 x 10 sheds great for storage, as well as a small tractor shed. No need to worry about costly maintenance items because this home has updated windows, a metal roof, new HVAC system (approximately 1 yr old), new gutters, and new stainless steel appliances. Attached room off of master bedroom would be ideal as an office, nursery, sewing room, or could be an additional bedroom. It also has exterior access, as well as it's own deck.